Super busy week at work, which means that I’m doing more overtime than I planned. This translates to less writing time, I’m afraid, but it is still better than nothing. The first sufferer will have to be this blog, because my fiction writing takes precedence over almost everything else these days. I have finished the basics of my touch typing course and am now simply touch typing, improving my speed, and making sure not to fall into old habits (such as typing with only a few fingers, or glancing every now and then to my keyboard). I have learned to dislike QWERTY, but I’m not yet certain that I want to start learning Colemak at this point. One Paragraph, Three Drafts – author Diane Chamberlain goes over her (re)writing process using a single paragraph. I find it interesting to watch authors go through their revision process, especially since so few of them are willing to reveal it. Why Your Attention Span is a Great Excuse for Someone Else’s Failure – a fresh look on some recent eBook (not) reading trends statistics. Henry Miller’s 11 Commandments of Writing and Daily Creative Routine – short, powerful, succinct words of advice from the author of Tropic of Cancer. Stephen King on How to Be A Great Writer – this article is this week’s gem. 22 bits of advice from Stephen King on how to become a better writer. I had a super productive day today. I managed to write double my daily word quota (I wrote 1,067 words today), figure out a problem I had with one of my characters (what is his motivation in a certain scene), complete my basic touch typing training, run my Friday errands, and go for an actual run. Earlier this week things weren’t so great. I was stuck with one of my characters (what is his motivation in a certain scene? ), and I had a very demanding week at work, which translated to me really, really struggling to complete my word quota on Tuesday and Wednesday. Some days are better, some days are worse — it all evens out in the long run. I just need to remember during the rough patches that I am are running a marathon, not a sprint, and I will be alright. For the past two weeks I have been taking the time every day to learn to touch type. I type a decent 36 words per minute today (sans touch typing), and I rarely look at the keyboard as is. So why make the effort to learn to touch type. If it ain’t broke don’t fix it, right? One thing was Clive Thompson’s talk on the importance of learning to type fast. I thought that I was a pretty decent typer until I took a typing speed test (here), and discovered that I was merely average. For someone who writes and spends most of my day working on my computer, “average” typing speed is just not good enough. I wanted to stop pausing my writing to scan my keyboard for the right key, and I wanted to stop having to go back and fix typing errors all the time. The other thing was that my pride was a little hurt by the results of that test. If teenagers can learn to touch type in eight weeks (again, see Thompson’s video), then so can I. I had tried to learn to touch type in the past, but like many of my friends and colleagues I had quickly been discouraged. Typing Club – this is the main site that I use. It is excellent, as it teaches you touch typing in small, manageable increments (I am now in lesson 22 for those interested). Typing Study – another useful site that teaches touch typing in much larger chunks than Typing Club. It also has a speed test and games that help you practice your touch typing. I use it for extra drills, on top of what Typing Club provides. Type Racer – a very popular touch typing racing game that helps you improve your typing speed. Keybr.com – another popular touch typing teaching game. Gives you words with blanks in them and sets of keys to learn to touch type. Doesn’t teach by the conventional “home row first, then top row, the bottom row” method. Typer Shark – here for nostalgia reasons only. A lot of people learned (or tried to learn) to touch type during this childhood using this game. It’s still here if you want to use it. Typing speed test – another typing speed test site, one that doesn’t use capital letters and punctuation (I got 47 words with it, but it felt like cheating). Typing tips on Reddit /r/MK wiki – a nice collection of useful typing tools and resources. /r/BlurredFingers on reddit – a sub reddit devoted to fast typing. What was really a revelation for me was that once you stick to it for a while, and practice, practice, practice, you notice that it isn’t that you are remembering where each key is, but rather that you are developing muscle memory to where every key is. It takes a few days of persisting, but once it starts happening it is quite stunning. Your mind is clearly no longer spending valuable “processor time” remembering where each key is, and you are free to focus on your writing and your writing only. This post was touch typed, and took me a little longer to write at the moment, but was a valuable learning experience. We invest time, money and effort in things like finding the perfect notebook, pen or pencil, but hardly enough time in developing skills that are useful for the modern writer. Routines and rituals are important, and one of the signs of a craftsperson is their care for the tools they use. This is true for any kind of maker, whether your craft is storytelling or leatherwork. Every two weeks I try to go through this routine, to make sure that the things that I use when I write are there and in order when I sit down to do my writing. A BBC News report published the findings of a consumer group Which? on keyboard hygiene, and not surprisingly they were shocking. Since your keyboard is one of your main, if not your main writing tool, taking 10-15 minutes every two weeks to clean it doesn’t seem excessive, yet few writers do so. PC World: How to Clean Your Keyboard – simple, informative, easy to follow advice on how to clean your keyboard. 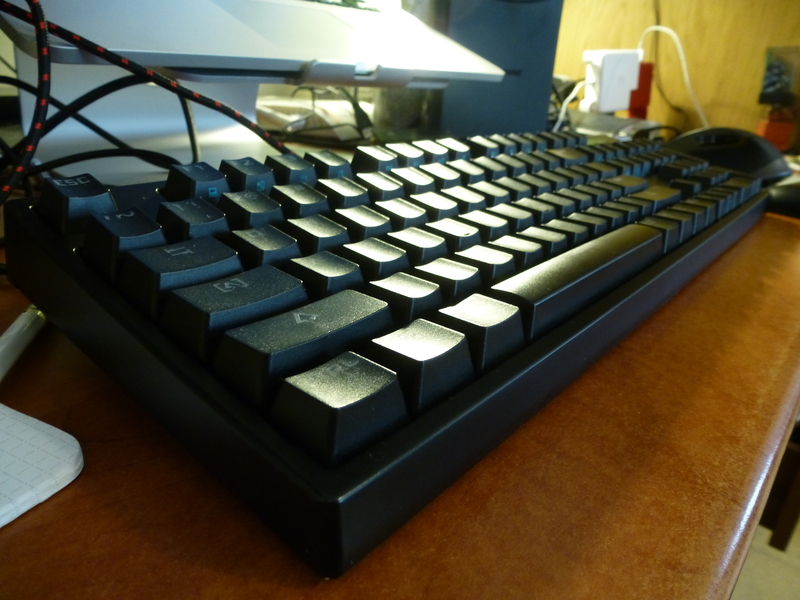 Rispter Guide: Cleaning Keyboards – funny, and with plenty of pictures. Also, much more thorough than the PC world guide, and geared towards mechanical keyboard maintenance. You can read up here on how to backup your work. Once every two weeks go over your backups and check to see that everything is where you expect it to be. Take a few minutes once every two weeks to go over your notes, file or throw away those that aren’t relevant anymore and make sure that you don’t have any loose notes scribbled on envelopes or post-it notes around the house. If you for some reason work with Word and not with Scrivener (why? ), and keep several versions of your work in different files, take a moment to make sure that your file names haven’t gotten out of hand, and you still know where everything is and what everything is. File names “My novel – old new new version 2” — I’m looking at you. Check your notebooks, pencils, pens (fountain pens or not), to see what needs to be refilled soon, reinforced or replaced. Take some time to fill in character names and short descriptions, places information, references etc. in your Scrivener project’s Characters, Places or Research folders. This information is important to keep on hand for long projects, and is especially useful to keep bundled together with your writing — mainly for search purposes (“where did I reference X character?”). It doesn’t matter what you are writing, whether it’s a paper, article, short story or novel, if you are typing into a computer, you need a backup system. Start out by investing in an external hard drive, one that isn’t a portable 2.5’’ drive (those are less reliable over time), but a full sized drive from a reputable maker (Western Digital, Seagate, Toshiba, Tanscend, Lacie, etc). Buy the largest HD that you can afford (4-5 TB should have you covered), and make sure that it connects to your computer via USB 3.0. Then setup Time Machine and/or SuperDuper (if you are on a Mac) to backup your entire hard drive regularly. I scheduled Time Machine to backup my HD once an hour to my external Lacie drive. Over the years I have had a chance to restore my entire computer from it when my cat decided to take a walk all over my keyboard, causing a kernel panic and somehow corrupting my filesystem. This is the backup that you will use when you accidentally spill juice over your laptop, or have a HD crash, etc. A local backup of your entire computer is great, but it isn’t very useful if your house burned down, if you had a power surge, an earthquake, tornado, etc. That’s what online backup is for, and for this I use Backblaze. For $5 a month you get unlimited, unthrottled online storage, and a nifty and very simple to use piece of software that flushes all of your files to the Backblaze severs. This is not a bootable backup, but a backup of all of your data. It’s for the I-lost-my-house-and-everything-in-it kind of scenario, where you have to buy a new replacement computer, but still want all the data that you had on your old computer. As an added bonus, you can access your Backblaze files from anywhere, so if you just want to checkout a file or two, or flush your photo library between computers, Backblaze can help you with that too. Dropbox is not a replacement for Backblaze, because it’s not geared towards online backup (not in pricing nor in its interface and options), but it is a good file sharing and syncing service. Use Dropbox coupled with Scrivener’s “Backup” and “Backup to…” to create up to date backups of your current project that you can access and update from anywhere. Finally, remember — if your backup system relies on you to remember to back something up, the it’s not a backup system. I work full time at a hi-tech job, which means that I also put in some overtime, although I carefully selected a workplace that has an 8 hour standard work day, in which work starts relatively early. I also run 2-3 times a week, and spend one afternoon a week drawing. Finding time to write when I was working on my thesis was gruelling, and this was the major reason why I eventually had to give up on it. When I decided that it was time to work on my own (fiction) writing, I knew that I had to do something about my schedule and my habits if I wanted to succeed. I now write 500 words a day, with 200-400 word blog posts several times a week, and I haven’t quit my day job, or stopped running or drawing. I also haven’t given up on sleep, my family, turned into a social recluse, or completely cut off my leisure time. What I have done is made some small changes to my daily routine, replacing old unproductive habits with new, more productive ones. I used to come home from work, and flick on the TV, and just veg out in front of it for an hour, and hour and a half. I was decompressing from work and transitioning into “home mode,” but I certainly didn’t need a full hour or more in front of the TV to do it. TV has this affect on me, where I can zap around between channels, moving from one to another as soon as a show ends or a commercial break starts. I lose track of time quickly this way, and it is very difficult to tear myself away from it once I have turned it on. I now don’t allow myself to come home from work and turn on the TV to decompress. I can do other things for the same effect — put a load of laundry in the washing machine, play with my cats, read the newspaper, read a few pages from a book. The result is that I have now vastly downsized TV from my life, without actually “banning” TV. As soon as I’ve cleared my head a little, I sit down to write. No “I’ll just browse this website first,” or “let me just spend an hour or two on twitter”. Have Scrivener open on your project at all times, and have it the main window on your computer. It should be the first thing that you see when you open your computer. Have all your notes out and next to your computer. If you write by hand, have your notebook open and a pen or pencil ready next to it. Eliminating all this little points of friction have stopped me from finding silly excuses to not writing, such as “well I can’t be bothered to find all my notes now,” and from procrastinating on my way to do actual writing (“Oh Tweetbot is open. Let me just have a glimpse at my twitter feed before I open Scrivener. It won’t take more than a minute”. It never takes only a minute). If I have 15 minutes spare, then I can write at least 100-200 words in them, or even an entire blog post. 10 minutes spare is a great time to think about my next scene. If I’m doing housework, then I’m either thinking about my next scene, figuring out what to do with X or Y character, or listening to podcasts. 30 minutes is more than enough to get close to finishing my daily quota, or quick draft my next scene. If you are waiting for a chunk of a few hours during your “peak productive” time of day, then you have a long wait ahead of you. By the time the stars align and you sit down and write, I have written thousands of words, and more importantly, built up my writing habit muscles. I started small, with 200 words a day for about two weeks, and then moved to 500 words a day. Use a word log to motivate yourself to persist, keep yourself accountable, and show progress over time. Habits build over weeks, so it is more important to set a goal that you know that you can handle every day, then be overly ambitious and then fall into an anxiety spiral. 6. Sit down and write. Don’t get up until you are done. No browsing. No texting. No tweeting or catching up on Facebook. I just sit down and plough through my quota until I am done. If I’m in the zone, I keep on going. But until I am finished writing I stop for nobody. Starting back again after you paused for a break is just so much effort that I oftentimes fail to do it. Better to get it done in one go than to stop and start, stop and start. That way you can build momentum. Don’t stop mid-sentence, but do stop in a logical place in your writing, and leave yourself a note (or better yet, quick draft) as to where you plan to go to next. Again, this is all about eliminating friction. I have cut down my TV time to about 3-4 hours a week, and I have been consistently writing 500 words a day for over a month. Neither my work, family, friends nor my other hobbies have suffered for it. All I did was eliminate friction, remove dead time from my schedule, and teach myself that even 15 minutes of spare time is enough time to write in. This post took 20 minutes to write, and is almost 1000 words long. What could you have written during that time? If you’ve only got 30 minutes to write, fine, write for those thirty minutes. If you’ve got a crying baby in the other room, don’t use that as an excuse not to write. (Although you should probably, you know, check on it first.) But make a little effort up front to clear what distractions you can. You want to set yourself up for success. This article has some pretty solid advice on how to get more writing done with the time that you have. Apart from the “no writing when editing advice” I pretty much agree with everything said here. Jason Kottke said that people’s love of pencils is “partly childhood nostalgia, partly how a craftsman comes to care for her tools, and partly the tactile experience. It’s also a blend of appreciation for both their aesthetic and functional qualities, and (especially these days, but not only these days), a soupçon of the disruptive passion that comes from willfully embracing what poses as the technologically obsolete. I use a pencils a lot in my writing – particularly when it comes to places in my narrative where I get “lost for words”. Pencils are my favourite tool for quickly trying out several options, as they are particularly helpful tools for this kind of thinking. I write every morning, seven days a week, and the momentum of writing every day is tremendously important to me, because I have no outline or plan and view writing as a transformation by the unconscious. I don’t know what will happen on the page each day, but there’s a shocking amount of pattern and structure that emerges, and I think this can happen only through a daily practice. There’s a lot that Vann says in this interview that I disagree with, but it is still worth a few minutes of your time, if only for the list of authors that influenced him. Five contemporary authors discussing the most painful thing that they had to cut out of their novels, and more importantly why. Very brief blog entry from Seth Godin about things to consider before embarking on a new project. Not aimed specifically at writers but certainly relevant to them.